It’s a condensed ‘event’, like Secret Invasion, trimmed of the fat. It follows the usual pattern of heroes against insurmountable odds / all looks lost / the recovery, and some hope/ oh, the odds aren’t looking good again. Being the penultimate chapter, the ending of this issue promises a HUGE battle for the finale. A nice couple of splash pages of heroes – and villains – dropping out of the skies. Captain America, Tony Stark and Thor are all at the forefront, and Osborn is pleasingly demented. How good is Siege #3? 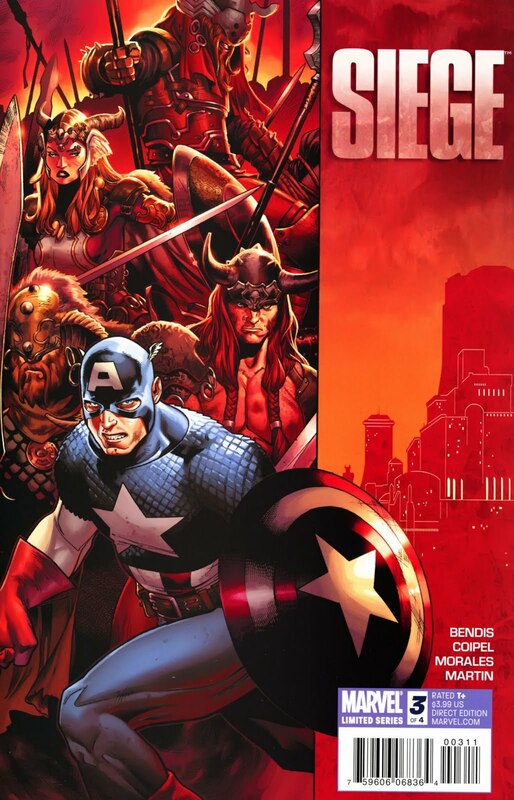 It is the best yet – and this makes it the best Marvel book in ages. It makes me actually want to read Marvel comics (for now, anyway).